Excellent thermal mid layer for aerobic activities or expedition weight insulation for cold winter sports. Form fitting versions feature Polartec Power Stretch, which wicks moisture and prevents constriction. 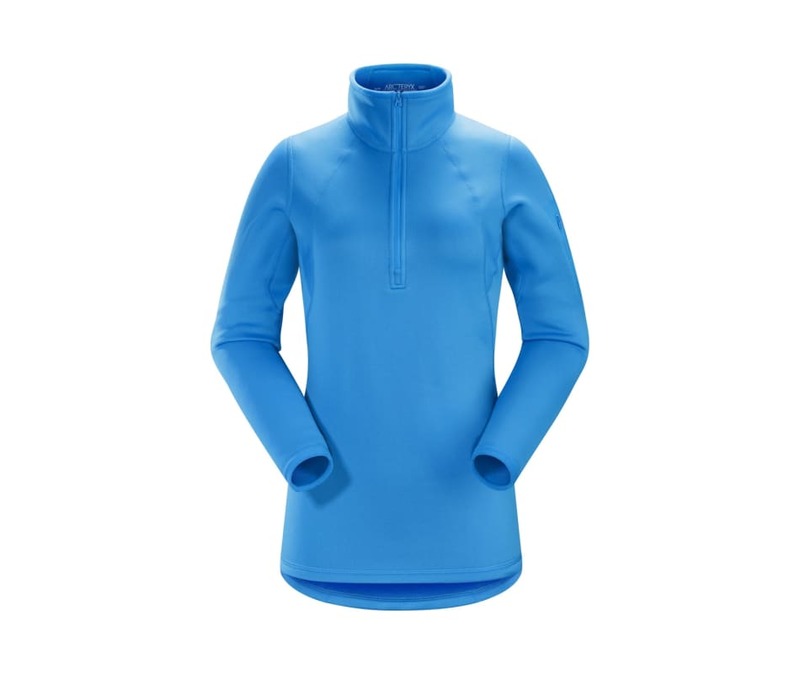 Thermally efficient zip neck foundation piece suited to cold temperatures, slower paced activities. Plush interior has rich, warm texture. Trim, next-to-body fit and elastane content increases thermal efficiency by keeping fabric in constant contact with the body. Zip neck opens to aid rapid temperature regulation. Synthetic fleece textiles with stretch, warmth and air permeable properties. Offers durability.